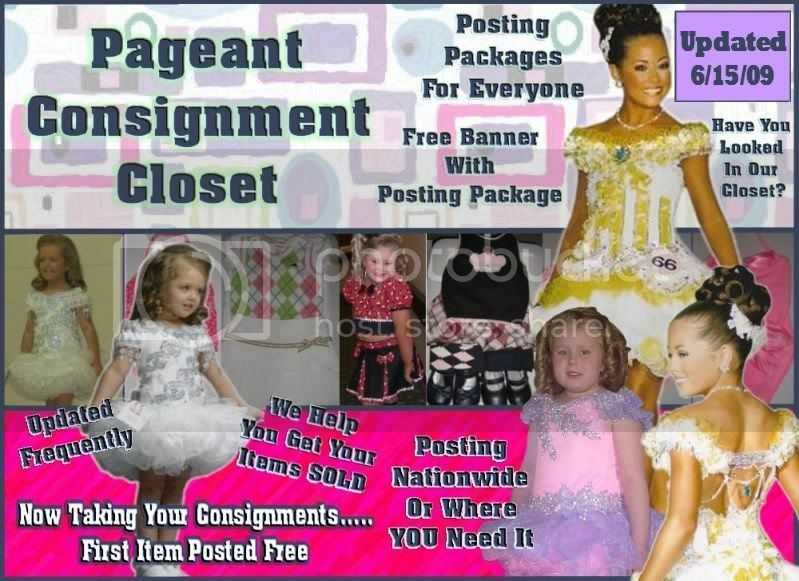 Welcome to the PAGEANT SWAP OUT BOARD !! 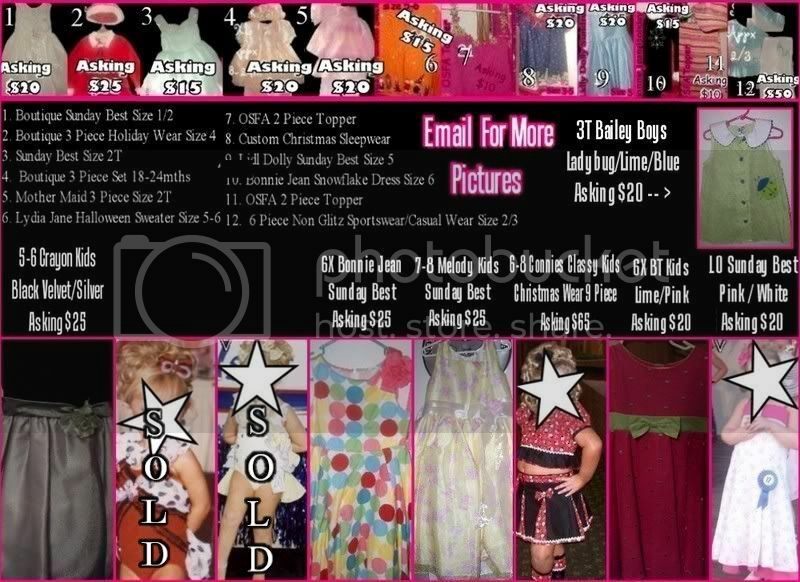 This is the board to come and "SWAP" out pageant items.....you may also post items for sale or something your looking for! But the SWAP outs sure are fun and help us all out,lol, HAVE FUN !!! Board made on: June 8th, 2004.This board is not moderated. 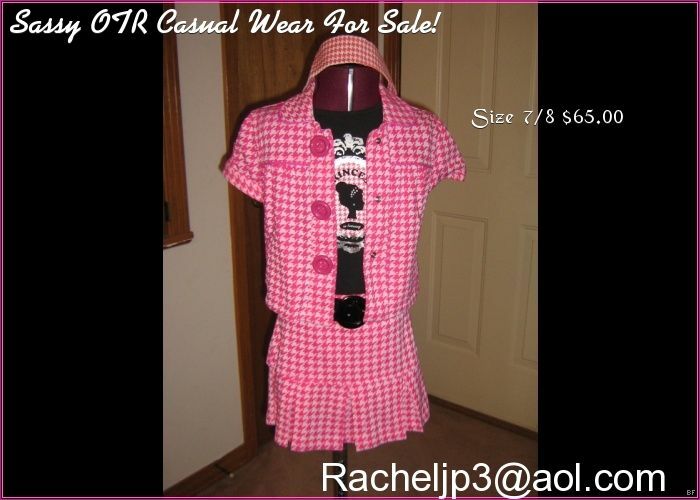 It is ONLY to post clothing for sale , swap, or looking to buy. 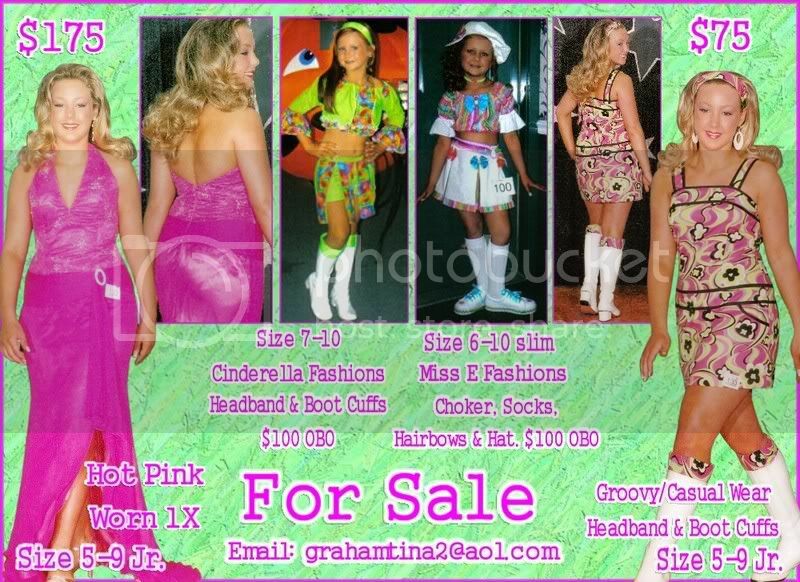 Check Out The Teen/Miss Items Listed In My Store!!! More coming soon - recently retired & moved, daughter has had another growth spurt - we need to thin out the closets! CLICK ON THE BANNER TO CHECK IT OUT TODAY! From Sweet to Disney Fun! Want a FREE onstage event at AUE? Play the FREE AUE Trivia Game!!! 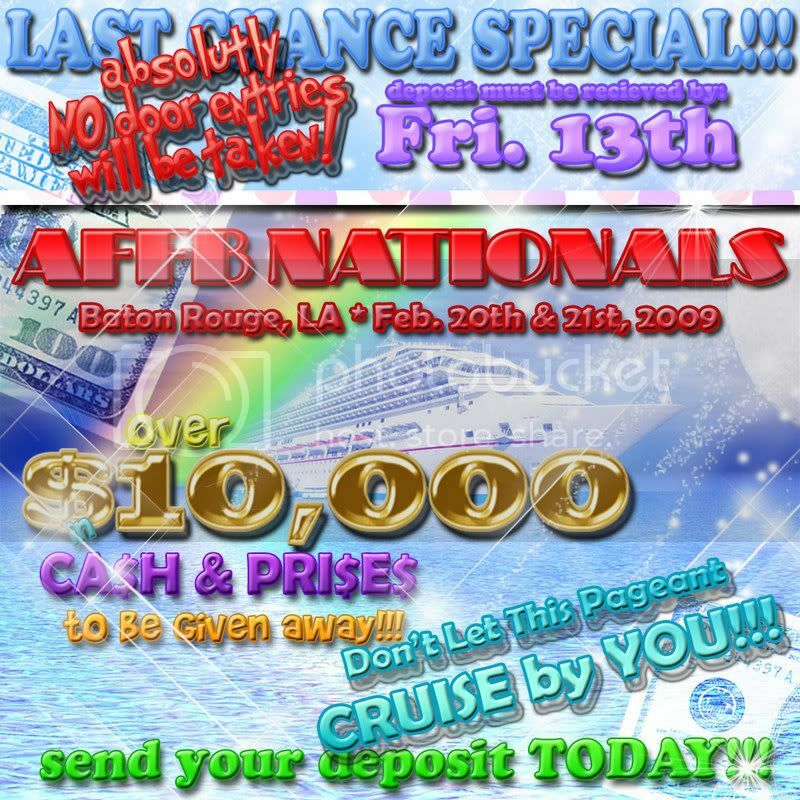 Win a FREE onstage event at AUE Nationals!! Just click the banner & go play the FREE AUE Trivia Game!! "America's Best" AUE SITE IS READY!!!! click the banner & visit the NEW AUE site!! Special Thanks to Melissa at Diamond Grafix for all of your hard work!! You Asked & We Listened!!! has added NINE Supreme Titles!! WOW we've added 9 additional Supreme Titles!! IFF has added 9 Supreme Titles! WE PROMISE YOU THE PAGEANT OF THE YEAR!!!! 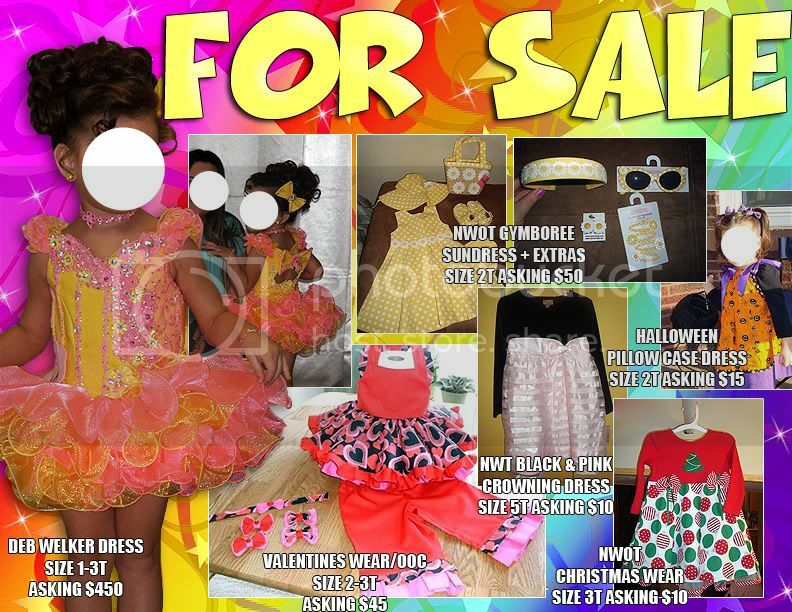 IHAVE A VALENTINES AND 4TH OF JULY WEAR 4-SALE CUSTOM MADE BY MS. NANCY ONLY WORN ONCE. EMAIL ME FOR EXACT MEASURMENTS, PICS. AND PRICE. 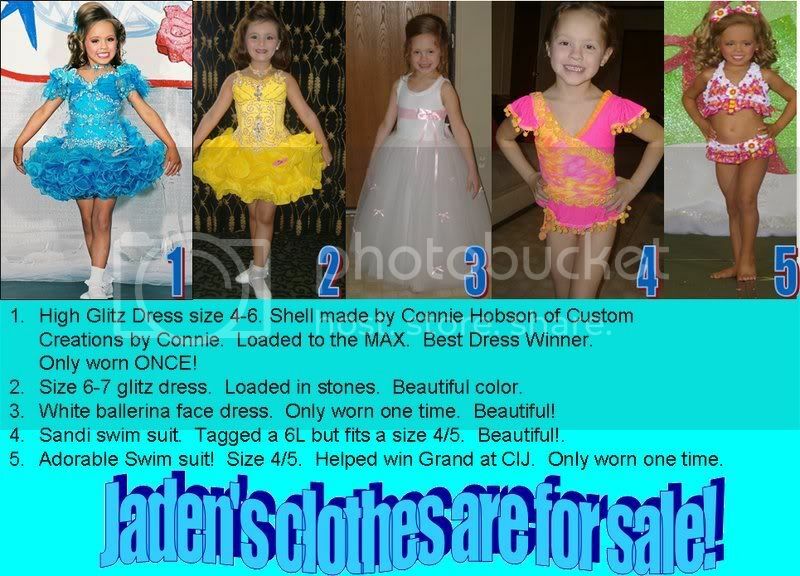 I ALSO HAVE SEVERAL BEAUTIFUL GOWNS 4-SALE. DEADLINE IS TOMORROW MAY 30TH! Decorated & Ready To Stone!!! click link below for ppw. Banners By Me... Jenni B. For Sale...No Reasonable Offers Refused!!! 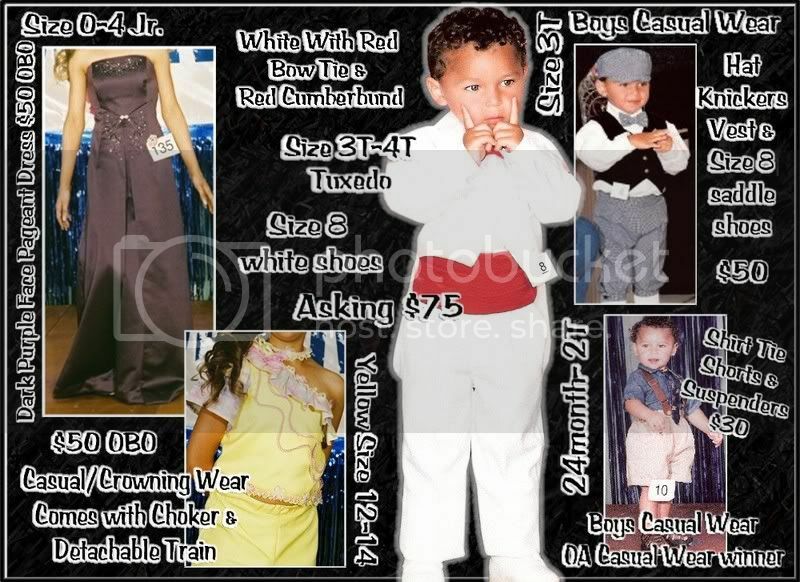 We sell quality fabrics, such as Organza, Superstretch, chiffon, and laces. Any of our fabrics can be custom dyed. 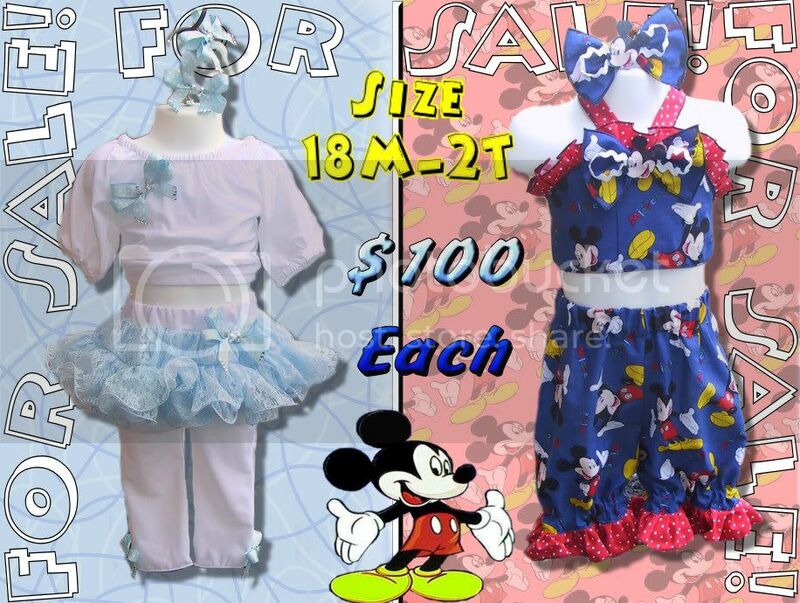 Tarzan themed sportswear for sale! 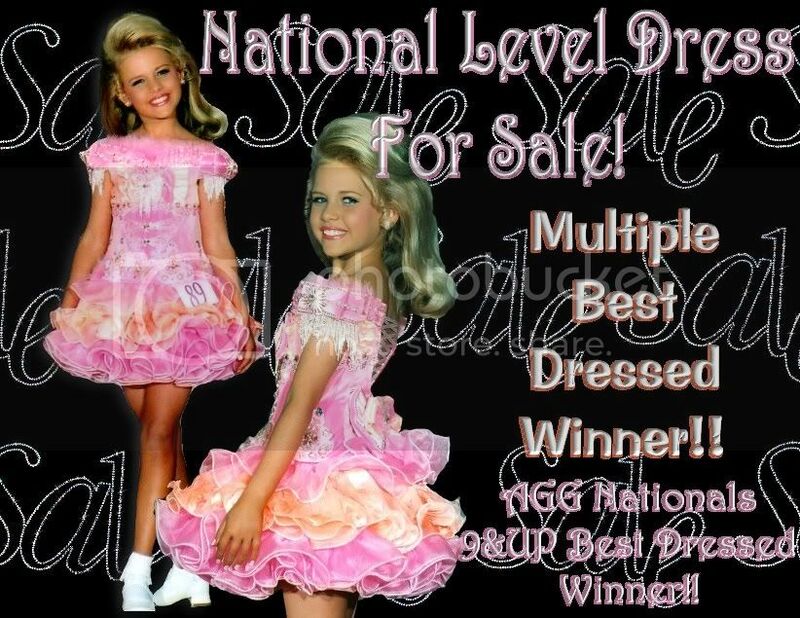 National level dress for sale! 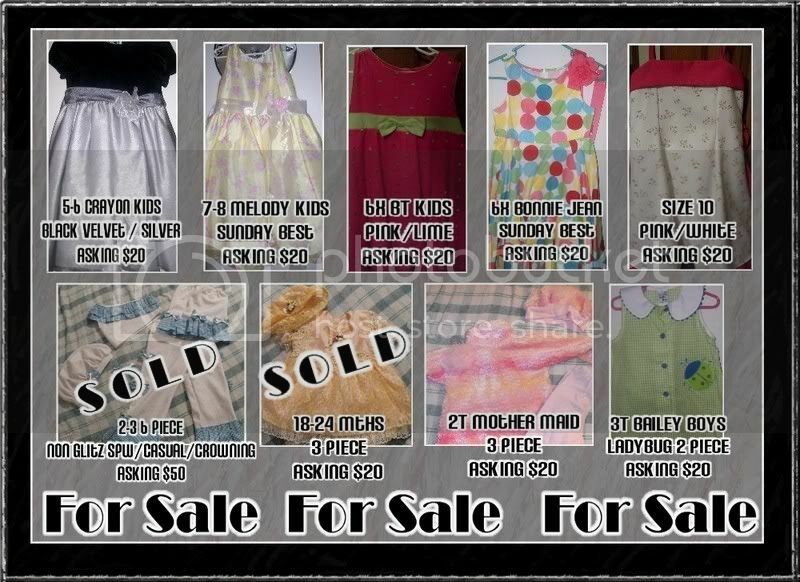 Size 3-5t. Asking 600 but open to any offers! 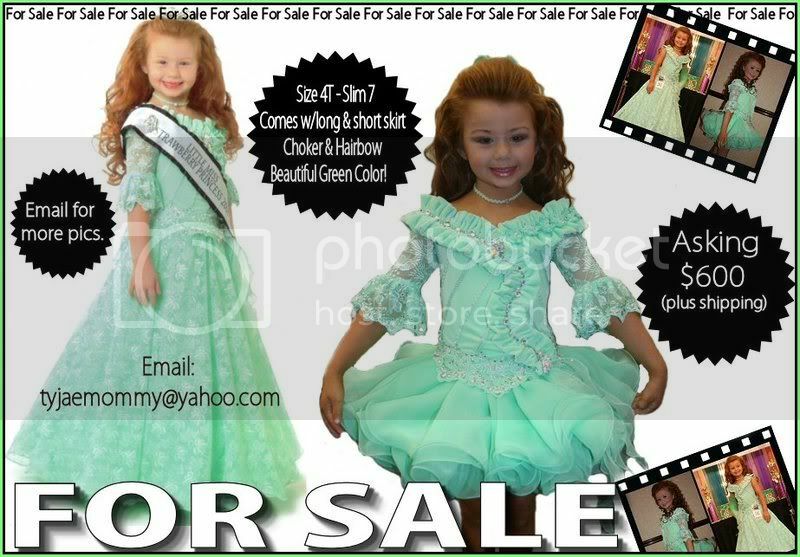 Email pageant_mama151@yahoo.com for more specific details. Also listed on ebay! Free shipping! of OVER $200 in an online natural contest are eligible to enter this week. 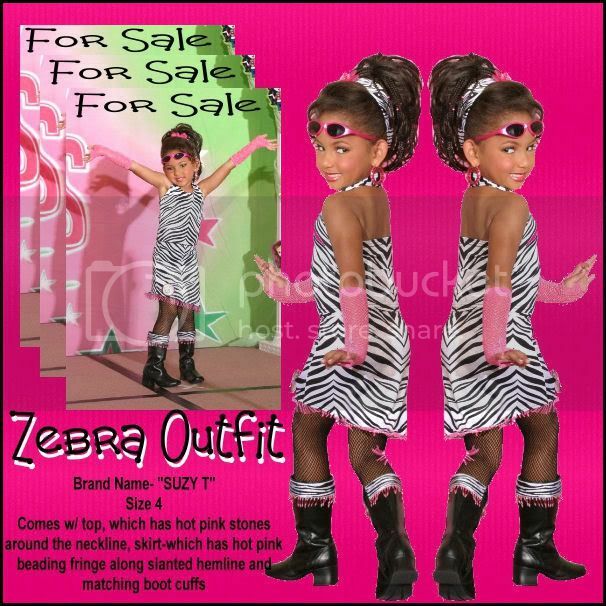 Jordyn has shopped with the PageantHub.com for years! Serving the Pageant Community for the Past 5 Years! Beautiful Pink High Glitz Tina Marshall dress. 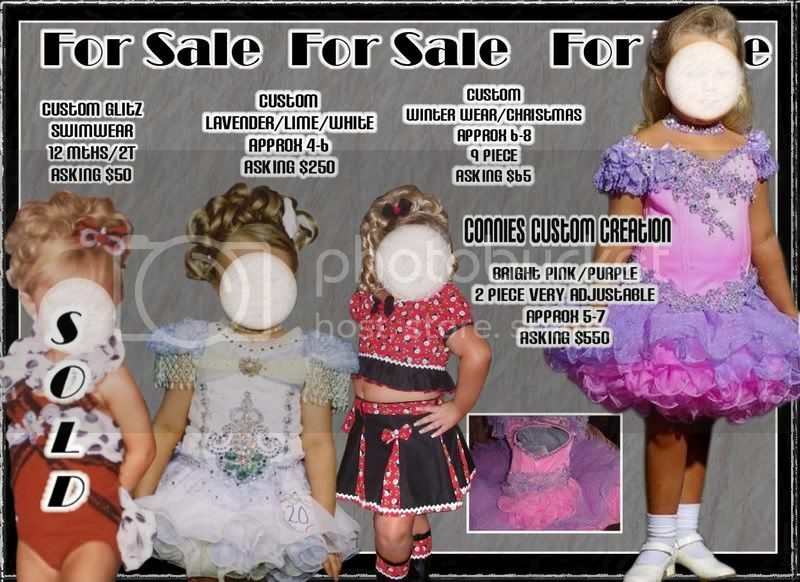 Size 3T-6 includes the bodice, two skirts, bustle, choker, and matching bow. 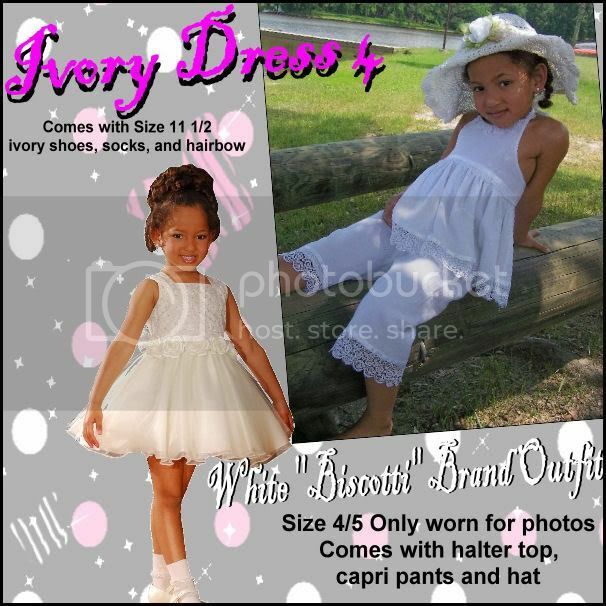 I have a custom creations by connies 12-24 month high glitz dress white and blue needing to trade for a 2-3T glitz dress. Contact me at hotcivic_1995@yahoo.com if you have anything. It's in Writing. This Is My Guaranteed Promise. 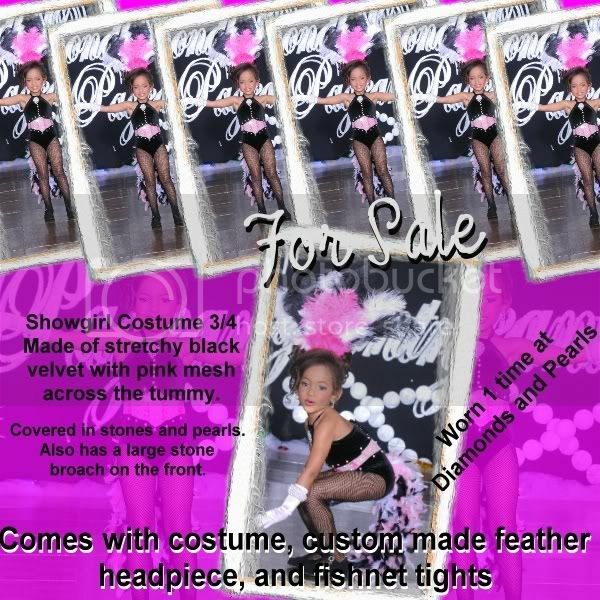 Porcelain Dolls Will Be A Pageant Like No Other! 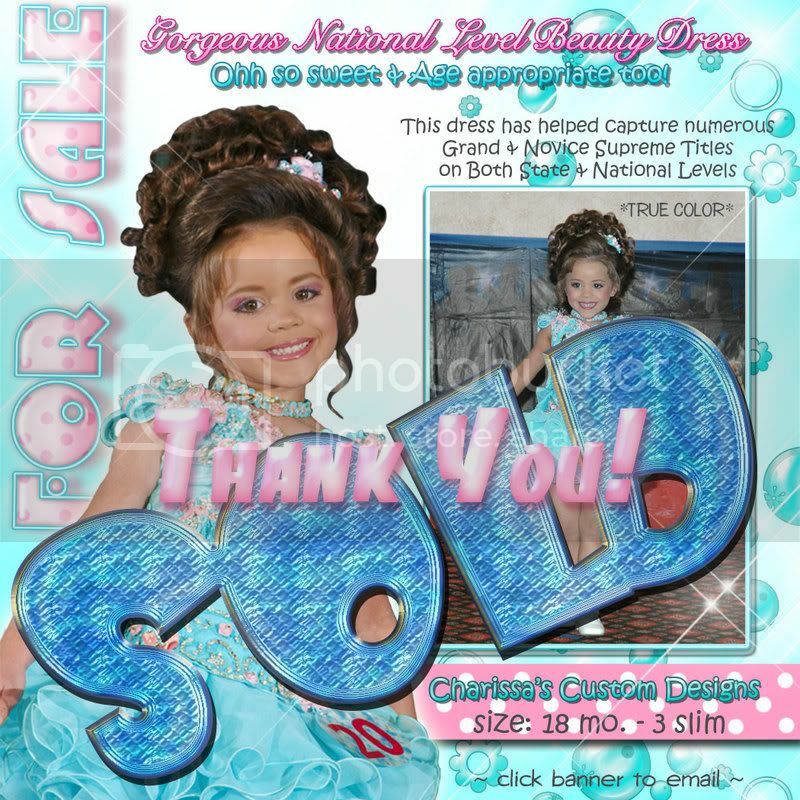 Porcelain Dolls Spring Fling Discount! Don't Miss Out On The Savings!!! We're so tired of winter!!! Isabel and Kathy are putting away the winter boots, coats and sweaters. Celebrate the coming of Spring with them!! Send a "HURRAY FOR SPRING" e-mail and you automatically receive $25 off your Porcelain Dolls balance at the door! Come on, lets wipe away those winter blues and bring on Spring!! 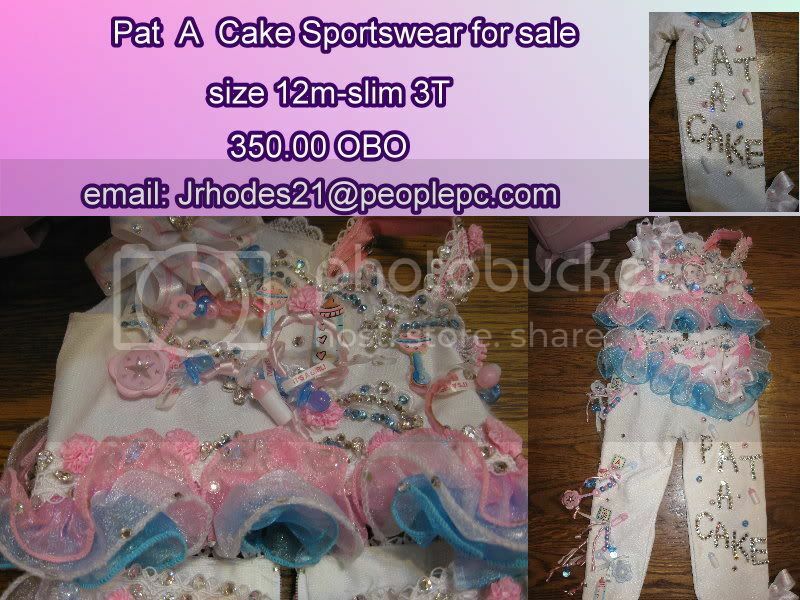 Huge Crowns, CASH, Monogrammed Sashes, CASH, Tons of Gifts, CASH!! EVERY CONTESTANT WILL RECEIVE A CROWN and FANTASTIC GIFTS!! Entry Requests should be emailed to sunshineproductions on Wednesday, April 1st at 8:00pm. may send email requests at 4:00pm on April 1st. 2. You can enter one or you can enter both. the email will be rejected. There must be TWO separate emails. and the $15 t-shirt fee within 10 days. by credit card please include a 4% processing fee. You may paypal to: sunshineproductions1@yahoo.com. Checks are not accepted under any circumstances. 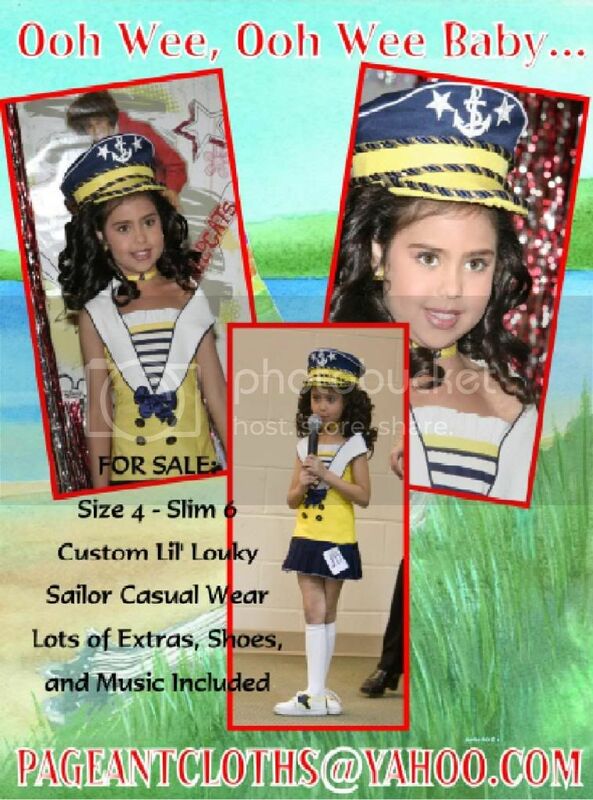 Girls Age Groups: 0-6 mos, 7-15 mos, 16-23 mos; 2 yrs, 3-4 yrs, 5-6 yrs, 7-9 yrs, 10-12 yrs, 13-15 yrs, 16 yrs & Up. I will only accept 10 per age group. You will be put on a waiting list after 10 contestants accepted. I may split the age group. (i.e., 3-4 age group would be split to 3 yrs for first group and 4 yrs for 2nd group). This is for all age groups. go ahead and send your information. April and two in May and they wanted to be in the pageant. then upon their birth they can send in the name, age, and exact birthdate. The competition will include Beauty and Patriotic Wear/RWB Wear. This is for both Sunshine and Starshine. 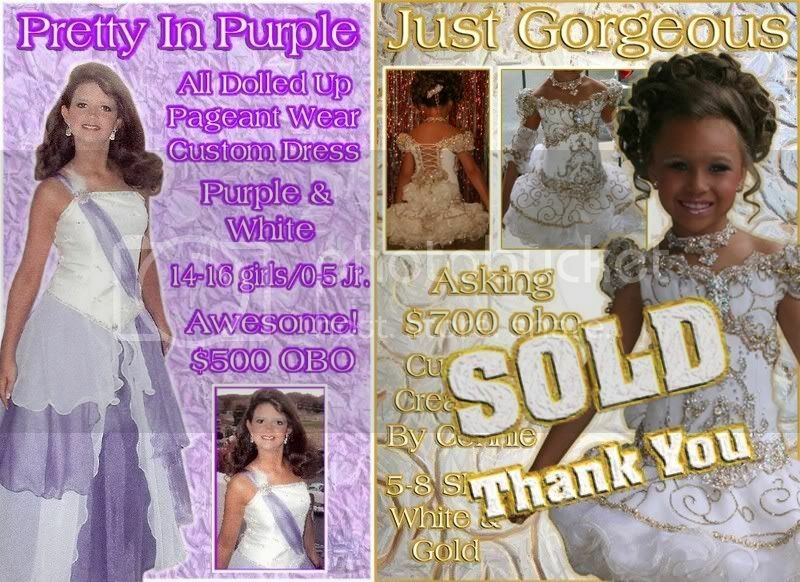 at both pageants (4" to 10" crowns) to winners. THIS IS AT BOTH SUNSHINE AND STARSHINE!!!! your name will go on the waiting list. I will add another age group. you will be notified as to your acceptance. but if I don't get the 10 in each age group I will combine the boys. they will both have to buy a door badge. will have to purchase a $30 door badge. grandparents, other family or friends. Get this for your dd before your competetion does!!! Plein Sud Skirt Suit - Perfect for Interview!! Get this before your competition does! 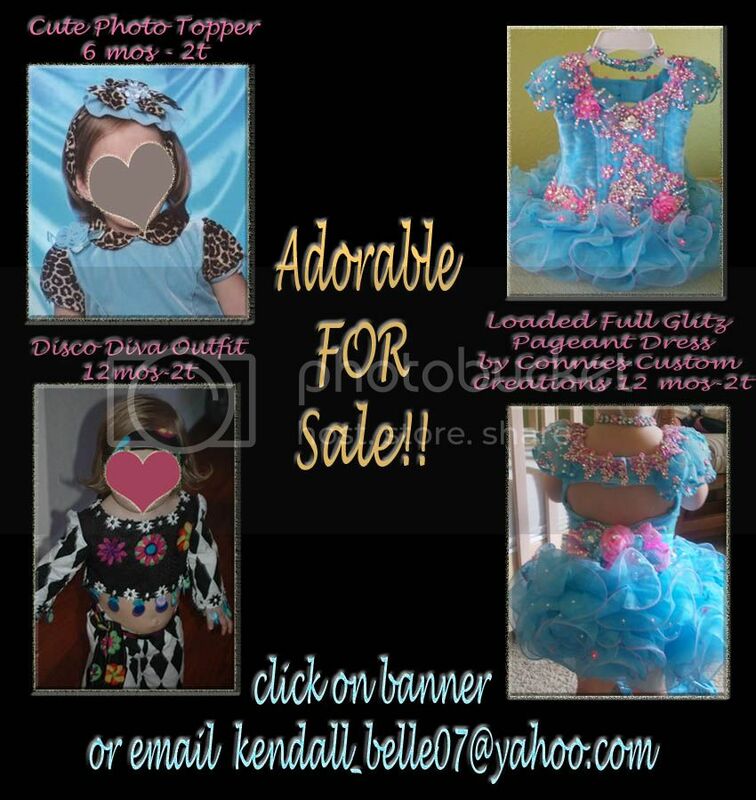 This Gorgeous Kerry Davis Glitz Dress is for sale! Accented with bows and butterflies. 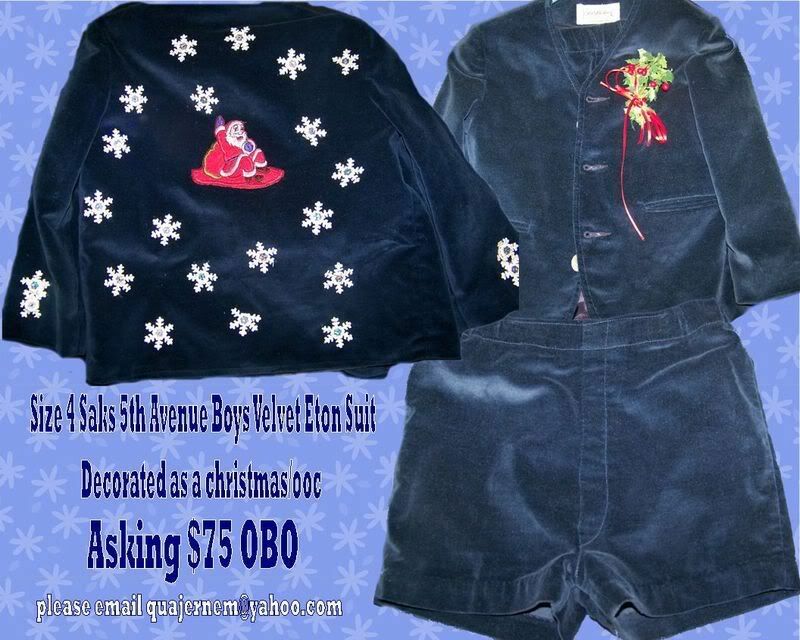 Click banner to email seller for more information! Full Color Flyers 8.5" x 11"
1122 N. State St., Bellingham, WA 98225, USA. Who will be the Guestbook Drawing Winner? 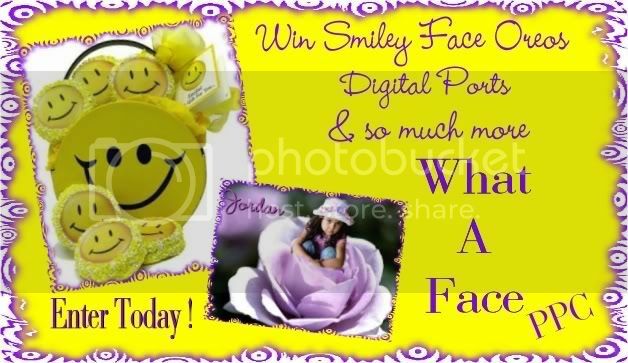 Click on the banner to Enter Drawing! Buy! ~ Sell! ~ Trade! Email me with any questions!! Color Cards Available!! High collars shortens necks. Tight tops with short sleeves and breast pocket is detracting from your figure. Shoes with straps shortens your legs. The torso can be shortened or narrowed with seam lines, belts, bows, and collars. A short necklace can shorten your neck. A scarf or belt that hangs down toward the legs will make the legs appear longer. Knitted texture, lace, floras, prints, and plaids can assist in creating an illusion. Thicker vertical lines in plaids lengthens and slims. 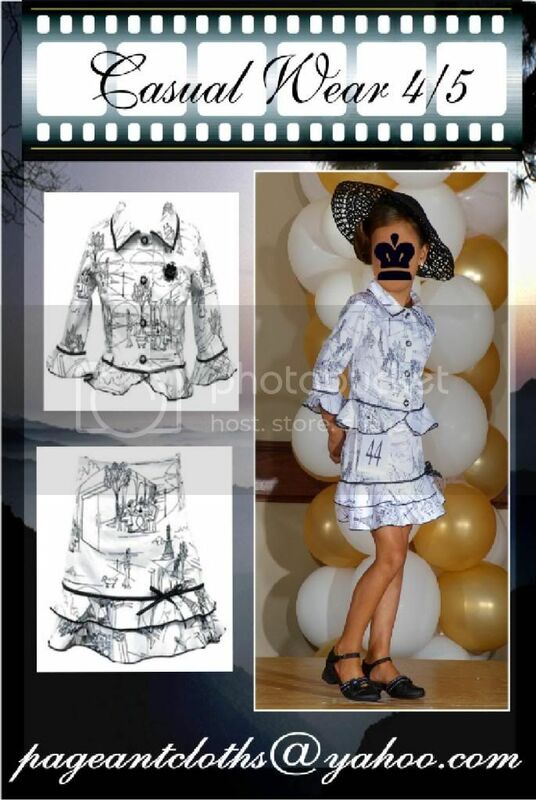 Wear a larger print where you want people to look and smaller print where you do not want them to look. An all over print can camouflage figure problems, but prints here and there can create a fuller you. Prints around the neck and over the shoulder can make your shoulders appear wider. Just wear prints near the parts of your figure's assets, because they are usually more eye catching than a solid color. When buying pants be sure they fit well. Defects are emphasized in a pair of pants that may go unnoticed in a skirt. Petite women. Petite women need to keep clothes in line, slim narrow belts. A slight contrast in colors and fitted lines will flatter you endlessly. Also stay with fabrics that are soft and flowing that fits well. Over powering prints should be avoided. 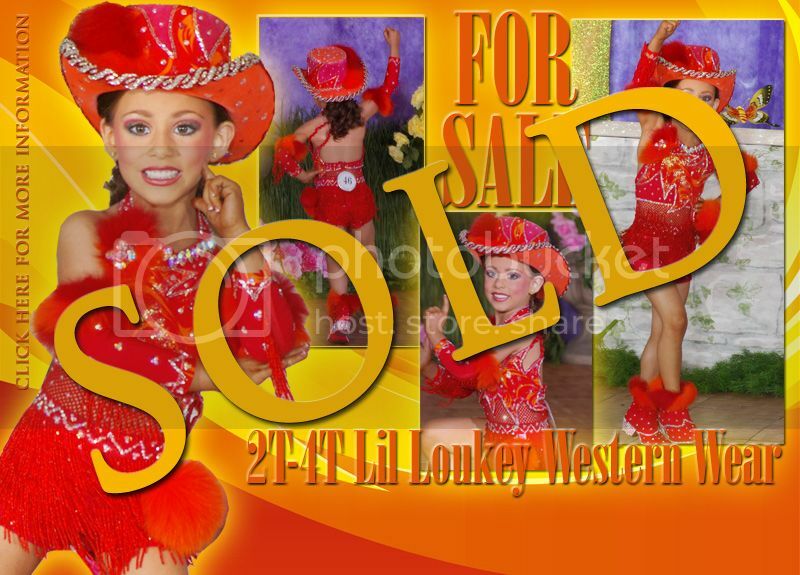 and custom "Bugle Boy" music asking only $450.00 plus shipping. Click on the banner to visit our website! 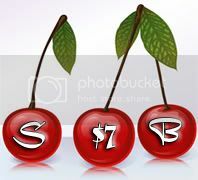 "Cherry" Cute Casual Wear For Sale! This little number is sure to go LIGHTNING FAST!!! Please help Little Miss Ava! Ava was born with a heart condition, and will need surgery soon. By entering our pay contests, you will be helping Ava! into the contest Jackpot. This benefit is from February thru April. taking Donations that will go straight to the Wilson family for Ava. 5 Contests to choose from! Get it before your competition! Click banner to get more photos! banners by aj: alexandrajaidyn@yahoo.com $4 banners $25 comps! Click banner to visit website! daily contestant count on site! Win $100 ca$h with your stageshot!!! Calling all Showstoppers! Calling all Showstoppers! Check Out The Items Listed In My Store!!! Crowning Wears and SOOOOOOO Much More!!!! Looking for a gift? A gown for your prom? Festival or local pageant? Kimi's Classics for all your hair needs! Kimi's Classics always the best prices! Beautiful State Crowns, Monogrammed Sashes and wonderful awards! 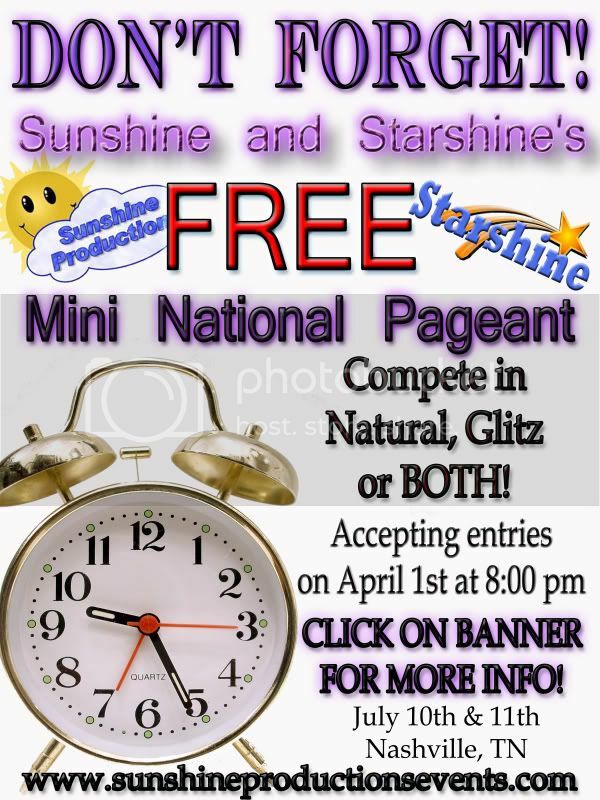 Win your Supreme Package paid to our 2009 Grand National pageant to be held April 24-26th in Gatlinburg, TN!!! Back to the basics of Pageantry! Everyone wants to be a Gorgeous Girl!!! Click on the banner and visit our National Website! Don't miss out on our special! Posting to 100 boards a day for one month only $10! CLICK HERE TO VISIT WEBSITE!!! 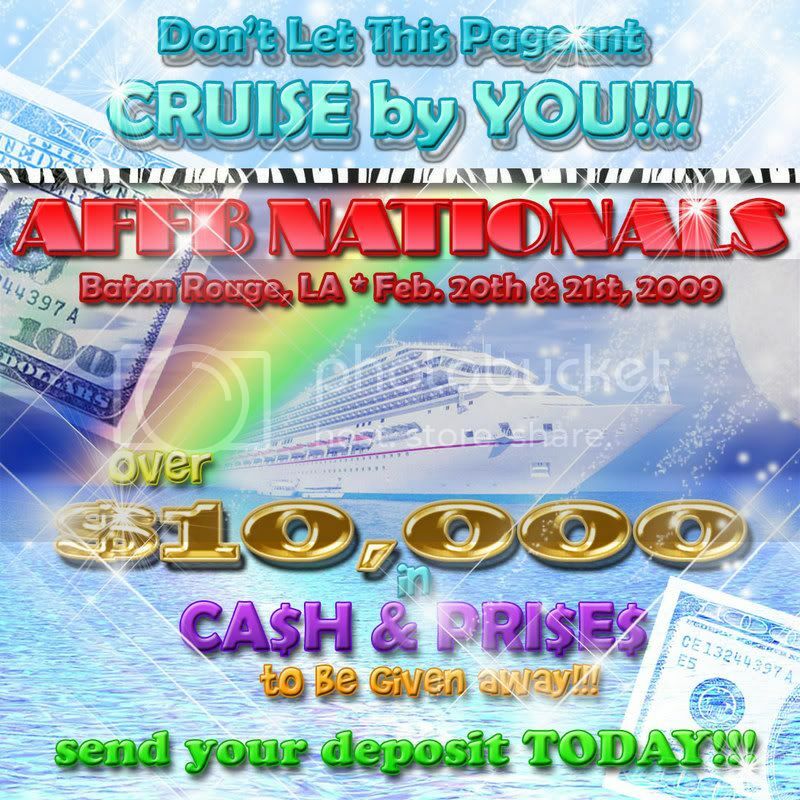 WINS A CARNIVAL CRUISE FOR 2 PLUS $400 CASH!!! get it before your competition does! and need to make room! $20 each - will give discounts on multiples. 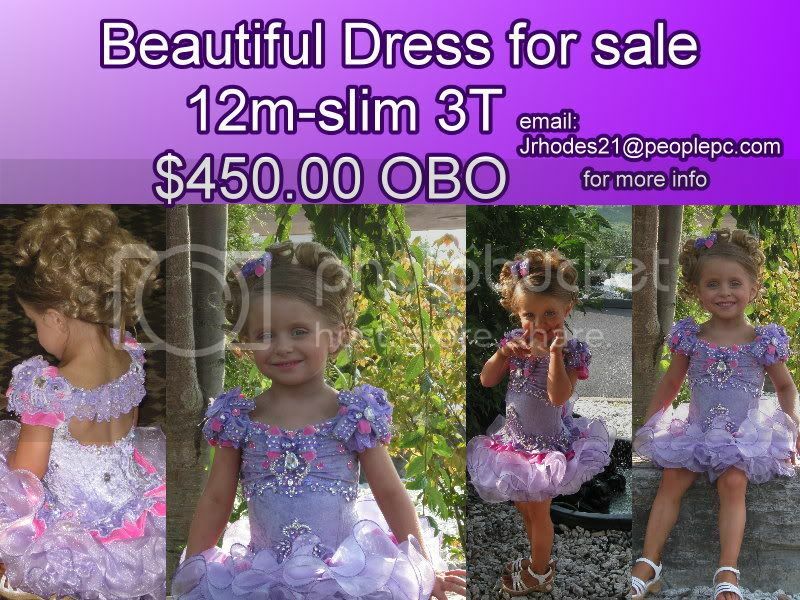 *** FOR SALE *** FOR SALE *** FOR SALE ***Isabella's Fashion Winning Beauty Dress is For Sale! Perfect for a face pageant! Custom made and absolutely gorgeous!